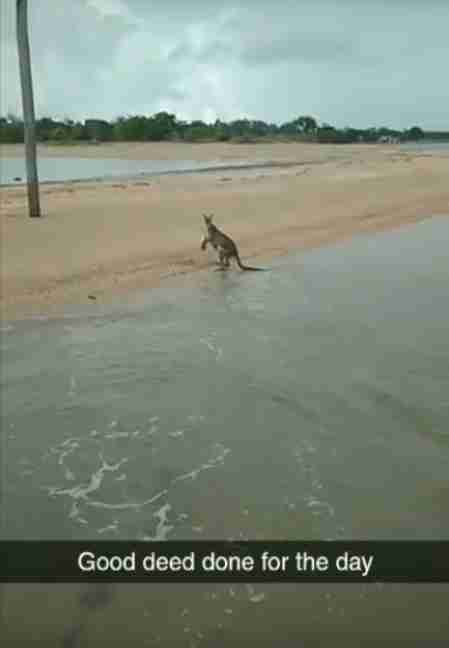 "Mate, do you know there's bloody crocodiles in these waters, and sharks?" Last Friday, Daniel Suttie and a few of his buddies were returning from a fishing expedition off the coast of Queensland, Australia, when they spotted something unexpected. 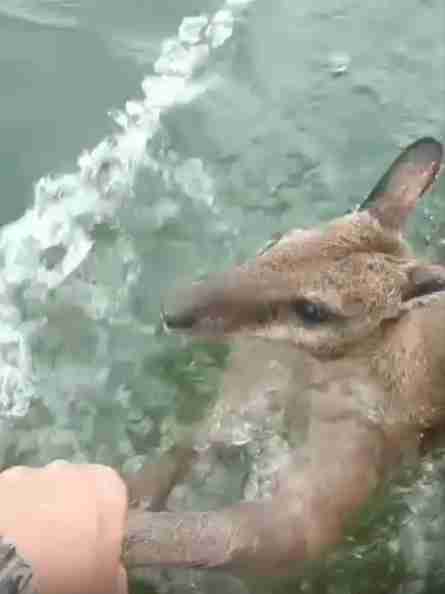 There, stranded far from shore, was a little wallaby struggling to stay afloat. Rather than leave the exhausted animal to fend for himself in the predator-filled waters, Suttie and the gang hurried in to lend the wallaby a hand. After pulling the boat up close enough to reach, Suttie gripped the wallaby's arms to tow him back toward dry land — but he didn't stop there. En route, and in classic Aussie style, Suttie decided to give the little guy a good talking to about the dangers of his chosen swimming spot. It's unclear if Suttie's message got through to the wallaby, but the incident had a happy ending regardless. The wallaby was back safely on dry land. Thanks to Suttie and his friends, all had been set right; he'd live to hop another day. "Go! Go, son. Live your life!" Suttie called out to the wallaby, interpreting his pause to gaze back at them as a show of gratitude. "No worries."